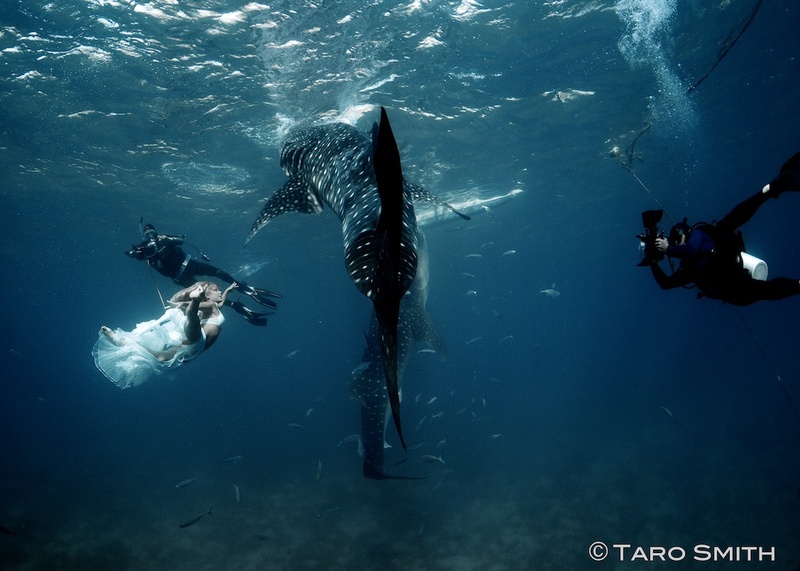 You are here: Home > Whale Shark Fashion Shoot – World First! 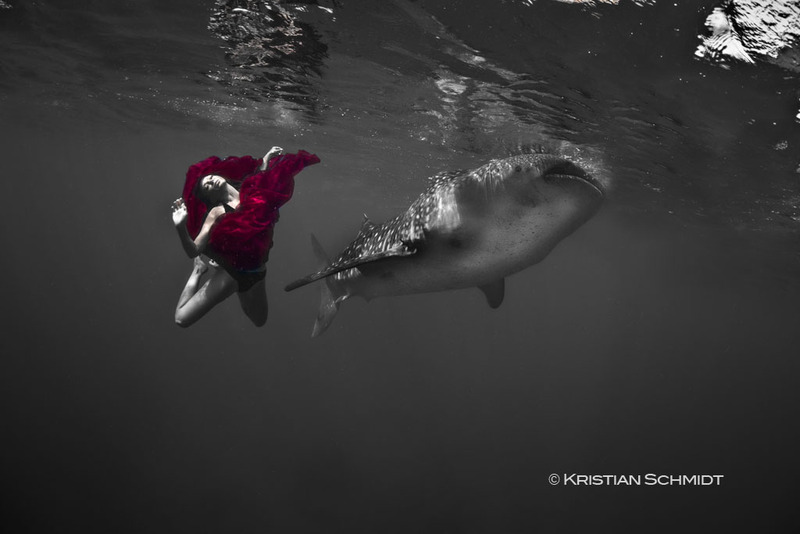 This November I teamed up with fashion/wildlife photographer Kristian Schmidt to redefine how the world views threatened marine species. 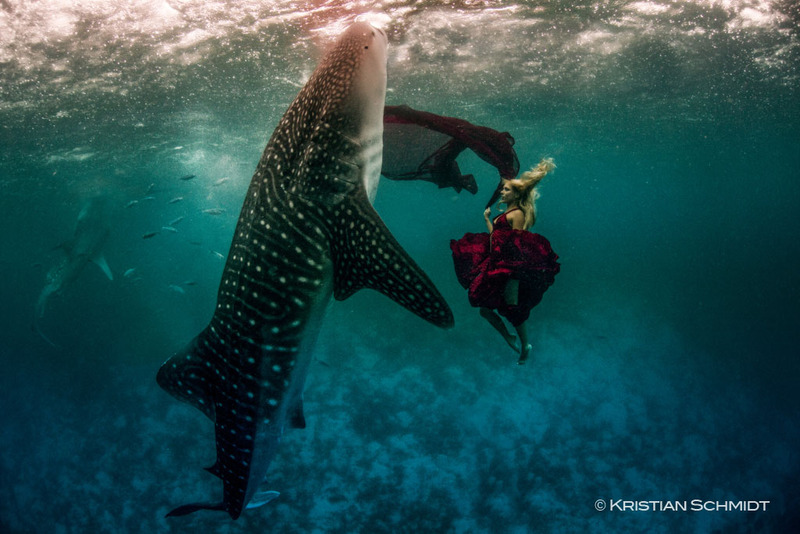 I first met Kristian on a whale shark trip with our friend and ally Richard Branson and conservation organization WildAid (an NGO focused in reducing demand for endangered species), and we were immediately captivated by each others work. Recognizing that people only protect what they care about, we hatched a plan that would combine my underwater and marine life photography expertise with Kristian’s mastery of creative fashion photography. We assembled a team composed of stunning models, a stylist and a dive specialist. Joining Kristian and I were team members including: Italian model Roberta Mancino (world sky diving champion and one of the world’s foremost wing-suit base jumpers), model Hannah Fraser (professional underwater model and real-life mermaid), Fazli Krasniqi (professional stylist) and Taro Smith (physiologist and artists). Fast forward 4 months and the team found ourselves in a remote corner of the Philippines in the small village of Oslob. One year earlier I had released to the world the first ever images capturing the incredible relationship between these fishermen and whale sharks, where the fishermen had befriended whale sharks by hand feeding them scoops of tiny shrimp. 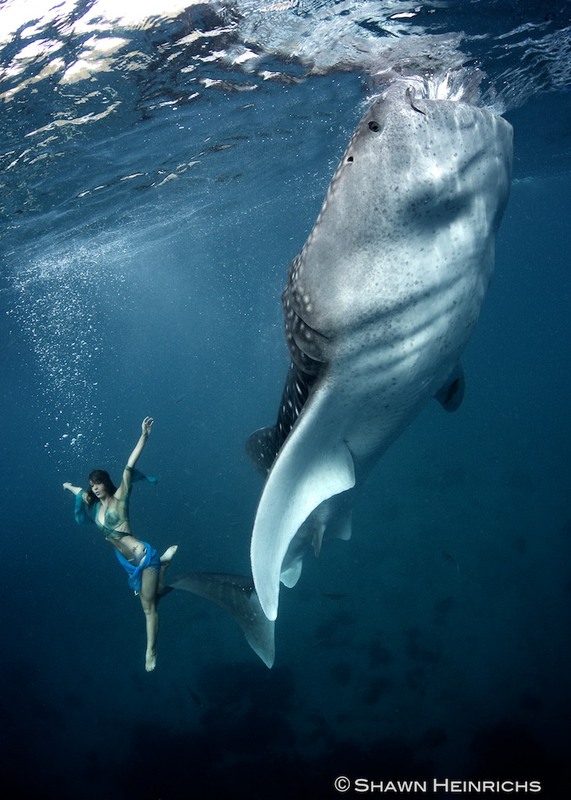 Just a two years ago in these very waters, divers discovered a live juvenile whale shark that had all its fins cut off. Though legally protected in the Philippines, poaching of whale sharks had continued because the shark fin traders enticed poor local fishermen to earn money from exploiting these vulnerable animals. Less than a decade prior, the local populations of whale sharks had been all but wiped out to satisfy demand for shark fins in China. Now finally, local communities have found a way to earn a living from whale shark tourism, and rather than targeting and killing them, they now are passionate about protecting them. One year following my initial visit, our team returned to Oslob to highlight the magnificence of these creatures and bring their beauty to a global audience. Our challenge, to turn models into mermaids and create mesmerizing imagery that captured the unique connection between humans and largestest fish in the ocean, the whale shark. After a week of intense shooting, overcoming the elements, technical obstacle and fatigue, the team returned home with some of the most innovative and inspiring marine life interaction imagery ever captured. We are preparing a limited run of exclusive prints to be sold to discerning photography/art collectors. These prints are now available HERE or click the following link to browse the print selection. In early December, just weeks after our visit to Oslob in southern Cebu, Philippines, the region was struck by a massive Typhoon that flooded villages, destroyed houses and killed people. This is a tragic situation and these communities are struggling to rebuild. 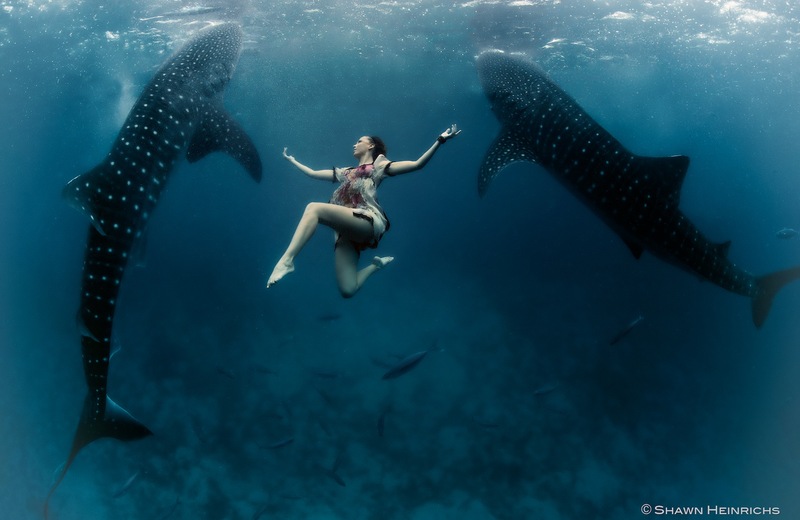 Fortunately the Oslob community has developed a strong whale shark tourism industry that can now play an pivotal role in helping them get back on their feet. Though some conservation organizations are vocally outspoken in opposition to Oslob’s whale shark tourism, we must not overlook how important it is to the welfare of this community and now in its ability to help them recover. Nice images. 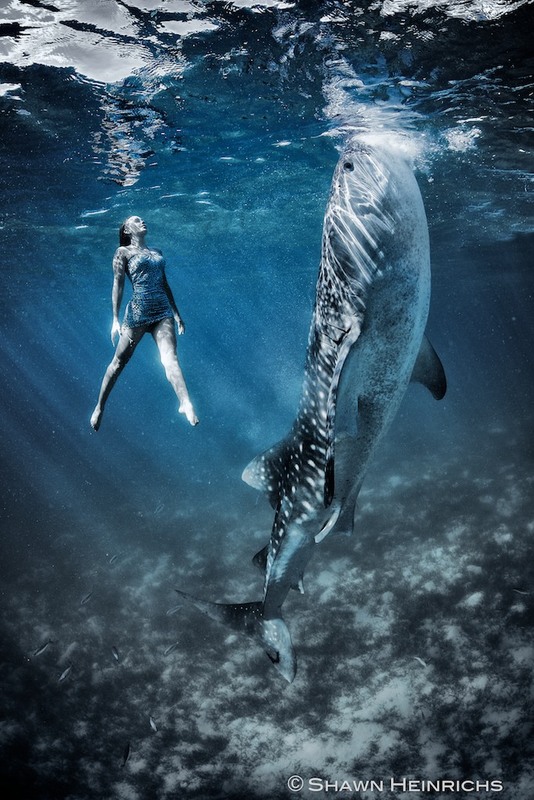 I am curious, did you photography the model and the shark together or was the model photoshopped into the image? 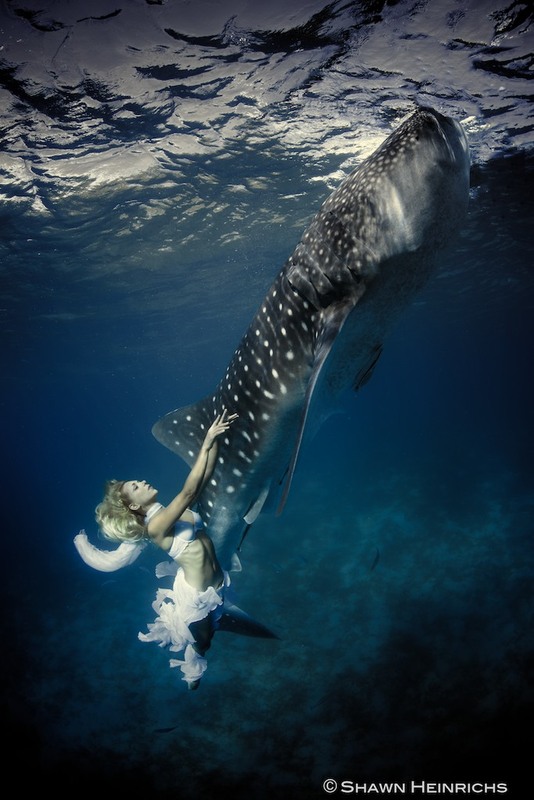 Hello, your articles here Whale Shark Fashion Shoot – World First! | Blue Sphere Media to write well, thanks for sharing! neatly written article. I’ll make sure to bookmark it and return to learn more of your helpful info. Thanks for the post. I’ll certainly comeback. I would love to be a model for these series! I have modeling and diving experience, and grew up swimming in the ocean. I’m also a biologist. Give me a shout.